I've been using up more of my snippets for the Playground Challenge which is now a fortnightly event with prizes as before and also opportunities for Gold Stars or to be a guest designer if you wish. For my card this week I found a large snippet of paper for the background, a piece of Centura Pearl card for the die cut panel and some smaller snippets of white card onto which I've stamped a selection of flowers and leaves. Finally a snippet of green was used to stamp a jar to hold the bouquet. The flowers, leaves and jar were cut out with scissors after stamping (triple stamping in the case of flowers and leaves). What a lovely snippets make with those pretty flowers melting into the embossed side panel! Gorgeous! 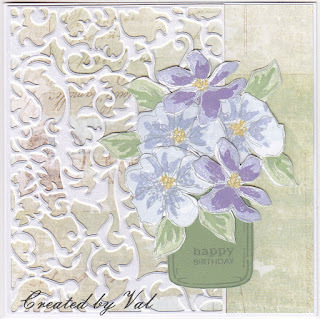 Beautiful card Val love that swirls die cut! Wow Val, such a lovely cards. And then I read how you made it and realised just how much work went into it - clever you, it's lovely! 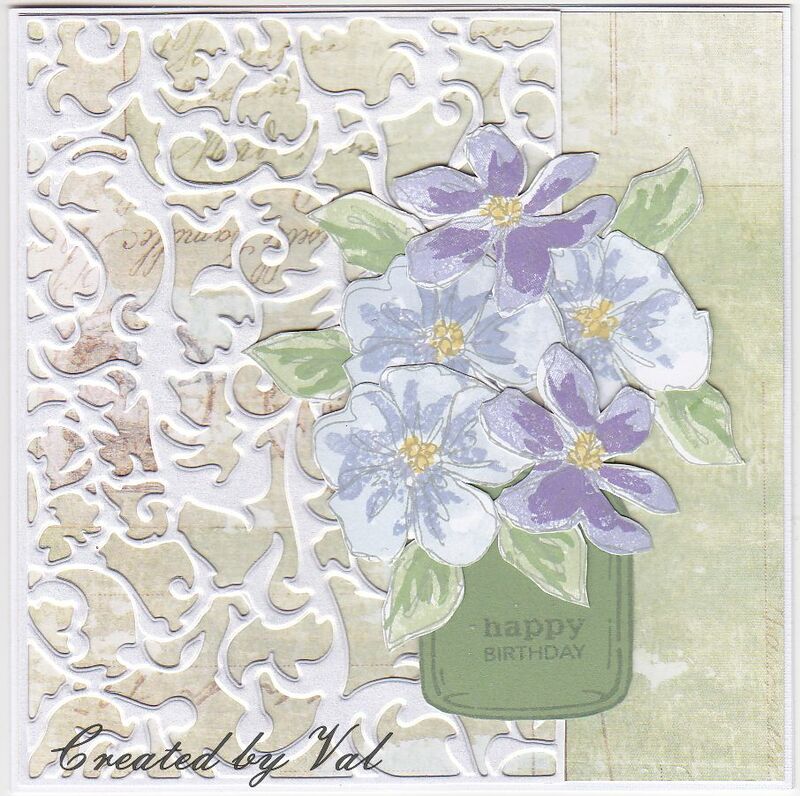 What a beautiful card Val and a very clever way to use up snippets. It's a lovely card.